London, England - What a week in the Champions League. Twelve goals in four matches, 10 of them scored in Barcelona and Manchester. While the brilliance of Leo Messi and Arjen Robben must be praised, it is my opinion that neither of them will lift the European Cup in Madrid this year. That honour will go to Internazionale. Jose Mourinho: Can he upset Barca’s plans for European Champions League glory? I expect you want me to justify my pick, and I will gladly do so. Right now, Barcelona are the bookies favorite. Most fans around Europe, and indeed around the world, also expect the Spanish giants to become the first team to defend the Champions League title since the format of the competition changed back in 1992. However, although I love watching Barcelona play, and believe they are the best footballing side on the planet, they will fall at the feet of Inter Milan in the semi-finals. Jose Mourinho will be a big reason for their defeat. Recently, before Inter played the second leg of their tie with Chelsea, the Inter manager admitted to watching the first leg match seven times. He analyzed and dissected the game, coming up with a masterplan that worked marvellously at Stamford Bridge. The Nerazzuri departed London with a famous victory. I now expect my compatriot to dig into the archives and watch two specific games a few times over: both legs of last season’s semi-final between Barcelona and Chelsea. The Blues did what few teams have managed to do over the last two years, and that is to contain Pep Guardiola’s mean scoring machine. They seemed to plug all the gaps and frustrate their opponents over both matches. Of course, they were eliminated by a last gasp goal from Andres Iniesta, but for large parts of that tie, they were in control. So look for Mourinho to design a plan to contain Messi and company. He’s got plenty of physical players in midfield like Esteban Cambiasso, Thiago Motta and Dejan Stankovic and that will help his team’s cause. I don’t expect a flurry of goals over the two legs, maybe only three or four - but when all is said and done, Inter will be on top. After that, they will go on to beat Bayern Munich in the final in Madrid and win the European Cup for the first time since 1965. Lol Perdo you seem have caught the Ben Wyatt bug, haven't you. and now you. He also famously said, "Inter win, no doubt." against Barca. Where are you living? I think you are watching too many other sports to know, this Barca side is not just a footballing side, They are THE greatest footballing side Ever. Mourino won at Chelsea(a weak and old team) Inter couldn't beat Barca in Group stage when they needed a Win mind you as the inter needed a win to make sure they qualify. That time Mourinho wasn't serious are you saying. Fine fine. Nothing much. Man u forever. We can win a hundred times. Pedro ( not Perdo,.....Varun....heard about spelling ?...) is absolutely right ! On the money ! It's Mou who will beat Barcelona ( and I agree that they are the best club team in the world now ! ), through careful analysis and brilliant planning, with the help of excellent execution by the Inter players. Chelsea is not yet a " weak and old team "(....noticed their position in the EPL ?....) , and that's how they were beaten by Inter. Mourinho was as serious last year as he is now, but his team was not ready yet. They are much more ready this year, and should they miss it now (...watch Messi...the other genius in the equation...), you can bet it they will win it next year ! My money on it ! You refer to Inter's physicality as a plus for Barcelona?Well Yaya Toure and Milito shouldn't be too small?right?and on Barcelona's strengths,they previously used to play their trademark passing game in the heart of midfield only.They now can do it anywhere in the pitch..with players like Xavi,Iniesta ,Keita,Messi and PEDRO able to play anywhere beyond the back four Cambiasso and company will be loitering all over the pitch creating spaces for Ibra and Bojan.. The only true statement I could really agree with here is that placing Bayern Munich in the final. Other than that, it is pure speculation. In fact, if the French have never been lucky in front of the German (back in Africa, we call it "le Complexe Français"), nothing- so far- seem to be able to hinder the march of Barcelona. For the first time in modern history, one can talk of an "intercheangeable" team: pull one, put one, you still have the power, the strength, and the vivacity of two. This is a team than changes and adapts to every situation as it presents itself to its elements. Coach wise, the only tactician capable of making it hard on them is Van Gaal (of Bayern Munich). But making it hard on Barca does not necessarily mean beating Barca. And that is my "one million final answer"
I like that thought, hope you are right, Forza Nerrazzuri!!! This is the analysis of a wounded ManU supporter. what else can we expect from you? i think inter will beat barca.but it will be a tight contest. i think inter will beat barca but it will be a tight contest.but am sure bayern will win the champs league.. I would wait until after 10th of April(Real-Barca) to predict if Barcelona will be desperate to clinch Champions League or they'll be a bit tired of winning. I don't think Inter can win , but i think Barcelona may lose. MUAHAHAHA ! I hope you'll be as prompt to write an article when Barcelona will DESTROY InterMilan and when they'll humiliate Lyon who will (b)eat Bayern Munich with a play-fork ! Pedro, very good overall analysis. My only concern is that if Mourinho scores first and tries to "Park the Bus" typical of him then He will have to work hard enough to contain or survive the wave of attacks from Messi and the rest of the Barca attackers. I fancy Barca to go all the way but Mourinho can be a deadly fox to play against especially in big matches like this. olympic lyon will win this years champions league final!why you ask,here is why!because they play the best football(ya even better than barcelona)they beat real madrid which has in my small opinoin the best squad!look out aswell for bayern munich,they have the dutch armada plus little napoleon and admiral van gaal! ROL! He of little faith! It’s evident that Messi is an enormous contributing factor to producing goals for Barca, but remember that all of this is made possible by a team effort. So if you think boxing in Messi will work, please do, as I am confident that Pep will only reach into his Marlin the Magician bag and pull out the rest of his arsenal and strategically fortify his team. You seem to be so sure that mou will beat pep but in football, it just doesnt work that way. Mou is, for me the greatest coach i know but Barca is the world's best team that will always stand up 2 the billing when the clarion call beckons. I give both teams a 50-50 chance of winning. We like it this way when all the fans of different clubside especially the premiership talk one thing or the other to pull down other people. I have one message for u pedro pinto included, come on the 21st and 27th of april we see what coment u post here because inter and jose would be in for the greatest football ever seen. Having come this far with Inter this season,i hope it,s time for the 'special one' to celebrate with INTER. Chidi/Nigeria. You may be right, but your logic is certainly flawed. If all he had to do was to analyze game tapes, then surely he wouldn't have lost to Barça in the group stage, would he? Barca will not win the Champions League ... simply put they are not good enough. Barca will leak goals and all it will take to beat them is a good team that will hold their shape and defend. Hahaha..yet another cnn blogger wrighting off Barca, i actually find it quite amusing having your noses rubbed in it by this brilliant barca team, so i'm not even going to waist my time trying to argue with you mr pinto..if anything i think it actually galvanise barcelona to destroy the opposition so keep it up you wonderfull journos. Oh and everybody's all lyrical about jose mourinho and he rightly deserves it, but seems to forget that in pep gaurdiola barca have an equally young, astute, brilliant, levelheaded technically givted and knowledgeble coach! its gonna be tough but i doubt that inter have the quality to outshine us over two legs. Lyon defeated the big REAL and will do the same to the BAYERN (which was defeated twice by Bordeaux), even though the German seem to play better and better. Manchester lost because of too much confidence. After that, in one game, anything is possible. "The only team that is capable of beating BARCA is BARCA themselves. ": Yeah, always the same excuse when the favorite team looses!!! I am glad to read your comment about Inter, at this moment I can tell you that most supporters in Milano were impressed by Messi 4 goals to Arsenal therefore they are afraid about the forthcoming match. The writer is his compatriot, and all know that Portuguese are good at a few things...one of which is dreaming...This dream of yours is likely to prove itself a nightmare for your egotistical soccer coach. I will give you this...miracles can happen. I agree with you Pedro, I have been telling my friends that Inter or Lyon will win this cup. This two teams have a way of defending and attacking without giving their opponents space to play their game. And also controling the game when they are leading in a match. Inter probably have the edge over Lyon. Huge bias against Barca everywhere in press outside Catalunya. 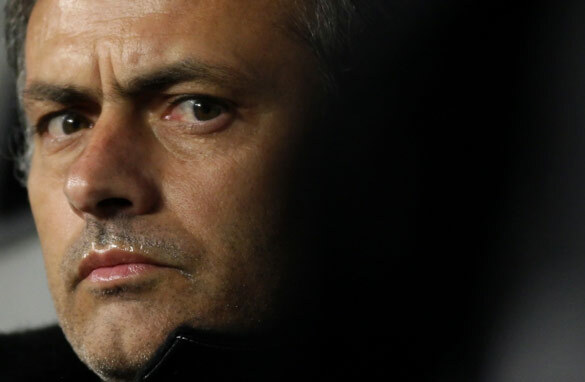 I disagree with the thought that Mourinho will be the big reason why they beat Barcelona. In ALL the comments I miss one name, Pep Guardiola, for me the very special one. He had the best master during the time that he played in Barca's " dream team", his name was Johan Cruyff. Last year he played his game, it did not worked out in the beginning ( First 6 weeks) but after that it was a display of joy. What he is looking for is money to buy succes, and if the results are dissapointing , he will come up with an excuse where he wants be in the future. So Inter-Barca will be attack against pure catenaccio, that's why there are no people in the stadiums. Whatever the result will be, everybody talks about the style of play of proberbly the best team in the world.......!!!!!!! This is not the first time I here someone speculating that Barca can be stopped by "antifootball". There even were guys who, having attempted this tactics, came very close to succeeding. But, just like Gus Hiddink and Chelsea failed last year, so should Mourinho and Inter this time. Pedro Pinto has aptly described the 'Special One' and Professor of football. Though a 'Gunner', I have great admiration and respect for both- Barca and Inter. But, this time around, the Special One will contain Messi and Barca's free-flowing football. The Special One is a great tactician and I bet you, he will surprise bookmakers and soccer pundits all over the globe. you dont know nothing of futbol. sorry but barca is the best team of the world and they will beat inter and bayer. mourinho's good but don't you think guardiola's going to be doing the same thing... just because barca has such a strong side doesn't mean they're going to be like let's just go score some goals. Also, like you said they are the best so even though we are looking at a great match, I'm sure guardiola knows what he's up against better than you or I do. A major factor will be if inter can contain Messi which if done right can help a lot as we saw from the first leg against arsenal. You seem to forget: Barcelona has outplayed Mou's teams throughout the past years: both Inter and Chelsea (who can forget the whining over Messi's injury when they player a couple of years ago). And the worst display of football in the first leg of the championship was Inter playing Barcelona. Mourinho always has tricks up his sleeve and I am a fan of what he does, but you can't take Barcelona and specially Pep for granted. Barca to win it all!!! Personally I think the author misses just one fundemantal point. He assumes that Guardiola will just sit down while enjoying his drink and do nothing about Inter (not even watching Inter's previous games at least for example) while Maurinho madly analysing Barcelona. Pedro, who knows, no one ever gave Chelsea to play the way they did against Barcelona last season. We should all just wait and see what "the Spacial one" game plan will be, you know why? I believe he can get it right against Barcelona!!! The best team in the world will with the European Cup, despite your faith in J. Mourhino. Barcelona is not Chealsea. They have a great manager too! Morinho wil use is mouth magic, to kill the spirit of pep guadiola bfore the match commence. Inter 4 final..
i agree; mourinho is the man for the cup! C'mon Jose! If Inter would win it would not be because of the grumpy guy sitting on the sidelines, but because of wesley sneijder! I like the way barcelona play and I think they are the best football club in the world. But like MU, If they don't fortunate they will to be defeated by any team. for me, pep guardiola is merely a spectator or a fan. he don't have to do anything. he just lets the players play n watches them from the bench. u dont coach messi to shoot or iniesta to dribble or xavi to pass the ball or even puyol to mark the opposing striker. no disrespect to pep but any1 at the moment could do pep's job of cheering for the players. i love the way barca play tho.my spanish team. Go Jose Go Jose...Inter Milan for King of Europe...Yes We can!!!! Pedro I agree with your analysis. People underrate the power of observation and preparation, which are attributes Jose Mourinho takes to a different level. There is no skilful set of players that a good game-reader and intelligent players who heed instruction cannot match up against. Barca have lost matches this season, so they are beatable. The trick is to muscle them off the ball, retain possession and concentration, and play through the channel – things Inter under Jose are good at. Pedro, i strongly advice that you keep your sentiments to yourself. fingers are crossed; we can only wait. Jose's sides are known to be physical and effective; barca is more about the art of football and talents. dont underestimate the "special one" either. Jose will prepare his team, his ability to read matches and react is unequalled. however he can only wish for the talents at Pep's disposal. Pep should not be overlooked either, he is learning and learning fast. Pedro has the right of opinion on who will win but I do not seem to agree with his analysis. Inter's inability to score goals beyond 1 or 2 in the Champion's league and Barca's high scoring tendency is the most important determining factor. Barca will outscore Inter home and away, and that is all that is needed for Barca's victory. You are out of your mind, man! Bayern Munchen will be the champions team!! Thank God 4 barca,they ar D best,bt to B sincere,no 1 can predit game,bt i wish barca Best of D march cos they deserv it again,4get abt Mr Int,cos he is a mouth maker.while barca make PEACE.they ar PEACE maker. Guardiola is a good coach but he is no tactical mastermind as can be seen by the many bad performances in Spain: you can actually block Barcelona if you block Messi and put pressure on their defence. Well Jose Mourinho is so smart and he designs the game plan mostly base on weakness of opponent rather than rely on his team capability. He tries to score early and hide his head and defend rest of the game by kicking away......!!! But I believe BARCA benefiting of not less smart coach.........two fox in the field fighting....interesting let see who gone win. But I lean toward BARCA if their coach and player won’t rely too much on Messi and focusing on team as whole. Hey Pedro, is this your way of making up with Mourinho? I like how you called him your "compatriot". Lovely analysis though...and i quite agree. I am a die hard Barca fan. I don't see any team stoping us (Barca) to defand their title. Braca is the best team in the world now.and we (Barca)is winning the cup for the second time. i know ither is a good side but ther (inter) cannot stop us (Barca) from making history. The only problem with your theory is that the only way to "stop" messi is to tackle him to the ground. So, if thats the plan, I expect iInter to play the matches short handed as their players are sent off for misconduct. Well Pedro Pinto, i expected u to be neutral you know, next time when u'll come on TV, i will simply switch the channel. Big boo to u . Besides, u seem to have analysed the thing from one side only. You talk about morinho, Well Pep is on a roll now, did u forget his achievement with BARCA last season. BARCA has a class and they play together as a team. Simply containing one player will not bother them, you know. Everybody in the team has the ability to win the game on their own. Well lets just wait and see, u're acting over-confident !!! It is nevertheless going to be interesting a match between the alleged best coach versus the alleged best player. Looking forward for it, pity for they should be met at the final. I completely agree with you Pedro, the finally will boil down to an Inter-Bayern Final.Barcelona were given something to think about buy an inconsistent Arsenal Team who were written off in the first few minutes of the first leg, it however took another 90 minutes to decide thier fate and if not for thier lack of character (and Fabregas ) the outcome may have been different. Mourinho is obsessed with winning the UEFA Champions league haven shown his dominance in Italian Football and leaving nothing further to prove. The question is how Inter will defeat Bayern whom have shown extraordinary class and character from the inception of this tournament,Barca may have finally met thier match and the balance of power in European Club Football is about to be reorganized. Mourinho counter attack tacktiks,its the only way out to beat barca but the question is does he have enough defence to stop messi and abrahamovich? All of those stating that Inter can beat Barcellona and even go on to win the cup must be dreaming. And I mean seriously dreaming folks !! On an international level they simply don't have a winning mentality (at least not since 1965) and if it weren't for all their money they'd be zero in Italy as well. I mean anything can happen in soccer folks but I'd very surprised if they can kick Barca out. I'm no Barca fan by the way. Barcelona should table a bid for Frank Ribery so that Henry will be replaced on the left flank. Once Barca buys Ribery, FC Barcelona will become PS3 cheat mode. The time to buy Ribery is NOW!!!! FORCA BARCA, make the purchase Now!!!!!! Go Barca Go Barca Go!! Well Pedro, with all due respect, is this all you can do to analize a situation. I would have thought that after so many years of watching football and reporting about you would be a little bit comprehensive and specific in your analysis. Come on correct yourself. You can be more professional than that. I support morinho because According to my veiw of the champion legue the is no team that deserve this trophy like inter because they work very hard for this cup. Iam not saying because i support inter no,i dont support inter is just that whenever they play it intrest me. Barcealona do not deserve this cup after all they are the defending champion. Friends, First please enjoy the match of the year, the game will have the best ingredients, and be proud of the winner as soccer fans. Hahaha,well done mr pp,instead of ur analysis why dont u join him(mou)in italy as d assistant mang,barca dont play 4 fun,we play 2 win,barca wil win home away bcos we play as a team.mark my words..mr pinto inter. It is going to be a very difficult game. Inter will probably rely on tactics to counter Barca's offense. Jose Mourinho's statements suggest that he has something up his sleeve that others do not know about Barca or how to stop them. Hard physical game with an emphasis on counter-attack we may expect from Inter. Arsenal at Nou Camp also played physical initially and broke up Barca's midfield so that could be the tactic. However Barca would have to find a way to be able to play their offensive game in the face of ruthless tackles. Jose and Josep are incredibly gifted football managers. One is young and the other is younger. The younger one says "not taking a risk is a bigger risk". Let's see what the "Special One" comes up with. Inter v/s Barcelona is going to be a dream encounter. Wishing the players, coaches and fans a jolly good time. Everyone seem to think Barca will win the champions league based on that very one match against arsenal. But everyone forgets Louis van Gaal of Bayern munich the best coach of the lot that is being discussed here. The special one was the understudy of this great coach back in his Barcelona days. He has coached many more champion league clubs and been in ch finals than all the coaches mentioned here. If he gets to the finals he will win it, because he knows what it takes with inferior resources to get there. BARCA WILL WIN THE CUP FOR THE SECOND TIME. INTER WILL HAVE A GOOD GAME NO DOUBT ABOUT THAT BUT AT THE END BARCA WILL GO THROUGH. WITH MESSI, INESTA AND XAVI INTER WILL PACK AND GO. WHILE BARCA WILL PLAY BAYERN IN THE FINALS. WITH MESSI? INESTA AND XAVI INTER WILL BE ON THEIR WAY OUT OF THE CHAMPIONS LEGAUE. BARCA WILL DEFEND THE TITLE SINCE OUR BITTER RIVAL (MAN U AND CHELSEA) HAVE ALL BEEN ELIMINATED FROM THE CHAMPIONS LEGUAE. AM SO HAPPY ABOUT THAT NOT EVEN INTER WILL STOP US (BARCA). BARCA WILL PLAY AGANIST BEYERN IN THE FINAL AND WILL STILL DEFEAT THEM TO MAKE HISTORY IN EUROPE. UP BARCA UP BARCA UP BARCA. Hi Pedro... Sadly I do think you'll regret writing this article... I'm not saying that Inter isn't a good team and indeed it's full of physical players who can affect the way Barcelona plays football, but I'd like to remind you that we've got also the best coach ever. You just have to take a look at what he's done today in Madrid... When it come to Barça mate, nothing can be done... Well, you guys'll see what I mean. Pedro’s job is to create interest by writing controversial opinions. I admire him for not standing on the fence. Perhaps he’s cheering on a fellow Portuguese, since there is not much for Portuguese teams to celebrate this year, at least not yet. There is a factor in the beautiful game that should never be forgotten and that’s luck. This allows for the best team to not necessarily be the winning team. But I agree that if anyone is going to beat Barca it will be Inter under the direction of Mourinho, and I think they have been preparing now since the loss to Barca in group stage. As he said in an interview after eliminating CSKA “goals I don’t care about goals all I know is that along with Bayern we are the only teams that can still win 3 trophies” referring to their less prolific style of play. So expect a very defensive game probably boring as hell and with 20 players spending a great deal of time on the Inter side of the pitch which will frustrate the finesse of Messi and company. Messi scores goals on break away and recently playing the quick free kick when everyone is still arguing with the ref about the call. Wake up people it’s not brilliant its cunningness and it’s a set play which got the upper hand on Stuttgart, Arsenal and sadly Real this weekend and I’m getting bored. I too am sick of hearing about Messi and Barca. Mourinho should spend a lot of time analyzing Rubin who beat Barca on aggregate in group stage. Many things hv bn said.But do you know futbal is not like the other games.blive me.not only does barcelona have good players ,they also have best players lke xavi etc.if barcelona loses inter wont win.Give it a peep. Since history of champions league,no football club has win two consective times.So it can't work for Barcelona.The UEFA champions cup may go to Bayern munich. How can one take you seriously as your predictions are always based on emotion rather than professional analysis. Do you remember when you said Man united will beat barca last year? I think we're all in for a very close game, but I think Inter will take it. Based on Champions League form, Inter are doing better, and Barca are not as unstoppable as people think. Before people start shouting "that's rubbish, no-one can stop Barca", here are some facts. While it looks that Barca are brushing teams aside, they have drawn both of the away legs of their knockout ties so far, shile Inter have won each of their games. I think people should think before writting them off. Pedro you've been smoking your socks. there's no substitute for magic, and barca has it in trumps. Jos is your time to pround to the world that you the special one,inter stand a good chance with the p owerful eto's al thing be equal. Barca defence is in doubt against inter. They keeper is not forthcoming. Take it or leave, inter will go thru to final. Last season chelsea lost to barca bcos they played 11 against 14 (Centre Ref, 2 Last Men) were all playing for barca. Though barca for now is the best team so far, but they are not unstopable. Mou i bet you go and stop them as u usually do. Mourinho is a well respected coach , but his side will ve a lot of work to do to stop the invincible barca side. Barca has a young skillfull and talented players who are gifted individually and plays good football as a team.A team having Xavi, Iniesta, Messi,Pedro and so on. What more do u expect . Barca will defeat inter with ease and move to bernabeu to lift the trophy. PP with CR9"s Madrid out, MANU out ..no EPL teams .. must be frustrating ... but Barca will prevail even without Iniesta .. Jose isn't God ,if he was he would've topped the group stage & also have a Italian league title in his pockets he is helpless ... they beat Chelsea by not a clean game plan , but by acting & falling every minute ..that is not a game plan that is a dissaster plan, that can backfire . "I support morinho because According to my veiw of the champion legue the is no team that deserve this trophy like inter because they work very hard for this cup. Iam not saying because i support inter no,i dont support inter is just that whenever they play it intrest me. Barcealona do not deserve this cup after all they are the defending champion." Sadly and painfully barca will win the UCL in our backyard. In all of Mourinho's eight encounters with barcelona (chelsea and Inter milan) he was able to win only once. But I hope and seriously pray he dissapoints me by sending barca out of the UCL. Inter and Barca are good sides, both legs would be interesting winner takes it all, for those who think Mou will win by tactical approach should remember he has loss to this side this season in the group stage & his attack is so far the weakest when compare 2 d 4 semifinalist, though wit good defense dat always conceeds just like all 4. 90 minutes is all dat counts d best & most lucky team will win. Barca did it and will do it again ...they'll rise to the occasion .let's wait and see. I belive dat inter will over shadow barca belief it or not. The taste of the Budding is in the eating. WE ARE ALL WAITING FOR TRHE BIG GAME, THANK GOD THE FIRST LEG WAS IN SAN SIRO, A DRAW IN SAN SIRO WILL BE GOOD FOR US (BARCA) AND IN THE SECOND LEG AT SLUTHER GROUND IE NOU CAMP.INTER WILL BOW FOR THE CHAMPIONS. The final whistle with just every comment,but watch-out the special one tactic. Hi Pedro Im writing from Madrid Spain, lets take a glance at the analysis you gave prior to last years final in Rome you concluded that Man U. had an edge over Barcelona, I want to remind you that in the group rounds Barca already defeated Inter, it is true that Mourinho is very experienced, take note that Pep is very inteligent and in "big games" even more, 70% of Barca´s players have been playing together since they were 12yrs old, the return leg takes place in Baracelona´s mitic "camp nou" stadium, to also remind you of the outstanding Lionel Messi " you also concluded in last years game against man U. was inferior to C.Ronaldo" when you sum all those factors together....I leave U to your own faith, mine is Barca 3, Inter 1 final score. Have a goodday amigo mio. Barcelona the best club.it is true that mourihno is upset agains my club.but remind him 2 cool down.because barca need the match.messi the next football GOD.up spain. Hi chilitos, dont be upset with barca,be upset with ur selves 4 not joining d winning team.eto'o & maicon cant stop d force of messi, xavi, iniesta, & pedro.if ur a barca fan kpoko 4 u.
I don’t hear anyone talking about how brilliant team Messi is. Inter 3.
well, all these "experts" that left a comment should be eating their big Crow pie, today, shouldnt they? Inter outclassed Barca and is now heading as the favourite to the Final in Madrid. Barca here, Barca there...got nowhere tonight, Inter was the team, great match by snejder (much more effective than Messi) and Milito (always overlooked by people writing always too much about barcellona and too few about other teams), but the real winner was mourinho: flawless! If u want 2 beat barcelona u have 2 stop the wizard Leonel Messi. Dat is what Inter did yesterday. Oriaku well done , i said it Chelsea is never favoured ,it's a pity they always play 11 against 11 plus referee plus 2 linesmen in the champions league and i think the UEFA must do something about it . We all see it happen . Good luck THE BLUES . Well said Pedro.I knew Barca will not win this year's Champions ever since i saw the quarter-final draws.I am a Manchester United Fan but i have a great deal of respect for Jose and i think he's got what it takes (...Including the right players) to win this year's championship. Pedro, you're a prophet! As a die-hard Inter fan, your article kept me dreaming in the last 2 weeks. AND YOU WERE RIGHT! Barca got destroyed just as you predicted! Thanx man! will be catching up with you on CNN World Sport! Bom dia! To all those who dismissed the article , you saw what happened last night 20/04/2010 Inter 3- Barcelona 1. This writer saw a dream and the dream came true. I predict the outcome at Nou Camp. If not 1-0, it will be a 0,0 and at worst 2-1 infavour of barcelona and inter will qualify and win the cup. second leg should be different and cruel. midfields in inter can't stop Messi... If he show his full ability. Only Ji-sung Park can stop him well. 1- d ability of Marinho 2 create a plan 2 contain Xabi, Ineaster, Kaita and s/xs "PK" 4 d last 30 mins.of d 2nd half. 2- Idon't know how, but he should create a plan dat will make his team score at least one away goal n prevent Barca from scoring. He can, by employing d tactics of Chelsea. Every one is just making noise about a game that is now history;and no body is talking about the officiating or even the circumstances that led to our defeat.Barcelona really had problems of finding the right spots in the game coupled with the facts that we were frustrated by the refree,an off side goal and inter having a big home advantage.To every player their is a day to shine and score terrific goals;it wasn't Messi's day. I hope for your sake you are right. If I’m allowed to speak on behalf of all Barca haters it’s not that we hate Barca but we love to hate Barca. There is a huge difference. Love to hate means we protest all the hype around them, and especially Messi. Messi is very talented but not a god and as brilliant as most (not all Balotelli???) top players. Most Barca haters primarily love football and most will admit that Barca and Messi make for one of the best teams on the planet. Either wise it wouldn’t be any fun if everyone loved Barca. Having used the newly discovered superior Human Personality Reading Formula (see i-proclaim bookstore) on JOSE, I find him just but a mere actor at the touch-line. His only strong point is that he understands his limitations hence he delegates MAJOR decisions to his deputies. Thus, according to my findings, Jose is thus a PR manager but not the real coach hence his claims that he watched a game seven times is merely meant to portray him as the coach in-charge. Using the same formula, I find that Inter's success is attributable to the person(s) who did the poaching & scouting. I find INTER MILAN FC to POSSES the best assembly of players with the most resilient personalities worldwide. So you said it before the game and it happend. Hummmmmmm, really do not think so. José Mourinho is in for the worst nightmare in his life on wednesday. Barcelona has only got to score 2 goals and keep there goal at zero, not to hard when over 90.000 fans are pushing there team on. Unless he has favours from the higher Gods I really see Mourinho leaving the Nou Camp with tears in his eyes and insulting the referee as usual. Do you know the numbers for the lottery this week? Well done to Inter..i'll be the first one to admit the better team over the 2 legs won and they deserve their spot in da final,Mourinho..wow what a good coach,he was much better prepared then Pep,barca looked toothless in both legs,messi looks tired and jaded,xavi misses iniesta,ibra...well he does not look worth his price tag,he really don't fit in that team(i for one was always against pep selling eto'o), whish they can get him back cause altho he does score he also don't fit in by inter,their game is more suited for ibra.Lastly i just want to add we missed out on a chance for some history but we'll be back next year..it was a nice run but it got a bit too much for barca they were playing alot of games! PS: i wish inter wins the final they need it more then bayern,just afraid of what that will do to Jose's already bloated ego...my word there'll be no stoppin that mouth..
well done Pedro , your analysis proved more than accurate so far . Murinho's tactics have disqualified Barcelona from the final , and yes Inter will play Bayern in the final , but will Inter finally get the trophy ? I have some doubts because beating Barcelona has got inter's player psychology go much higher than it should be , the Germans are strong , solid players and have also a great coach . If the match reaches to penalties I think the Germans have the advantage . However i hope your prediction comes true in the end just because you said it !! Mourinho is a football genius and Inter deserves the cup. PEDROOOOOOO, u are a prophet! Your analysis was impecable! You saw in the future! INTER CHAMPIONS OF EUROPE, INTER CHAMPIONS OF ITALY, INTER winners of ITALIAN CUP!